Once more unto the breach, once more!! It's been a rollercoaster of warfare here on Cybertron for the last few months. The Reavers, ancient monsters once-Cybertronian in origin sealed away for eternity as punishment for betraying our planet and race, remain hidden within their pocket of the Dead Space. Our attempts to reforge the shattered Throne of Vir and seal them back still incomplete, leaving us no way to stop their invisible attacks. On Cybertron herself, the Reaver Brood Virus has torn through our unprepared chemical warfare defences turning those who were ones our allies into a mindless drone 'Brood' army. This zombie-like force led by Starscream and Prowl, now unwilling puppets of the Reavers (although the jury is still out on Starscreams case) have created a devastating swarm of carnage across the planet's face using their knowledge of both of our factions. Whilst the transformers can claim some small victories over the Brood, the cost has been incredibly high. Vast regions of the southern hemisphere are now uninhabitable, and the remainder is a combat-zone the likes of which has not been seen since the genesis of the Great War itself. This war is bringing Cybertron to its knees, moreso than our great war ever could. Vos and Tarn are naught but twin smoking craters. Tagon Heights have been levelled. Hydrax Plateau is dark and stagnant. overwhelming numbers of the Reavers mindless hoard. The indomitable fortress of Kaon is a near wasteland after the recent conflict. Iacon’s legendary defences that held the decepticons at bay for millennia now lay shattered and useless at the bottom of the Sonic Canyons, ‘commandeered’ by an infected Prowl earlier in the war, so even the Autobots beacon city may fall within days. We take our new weapons and we go on the offensive. 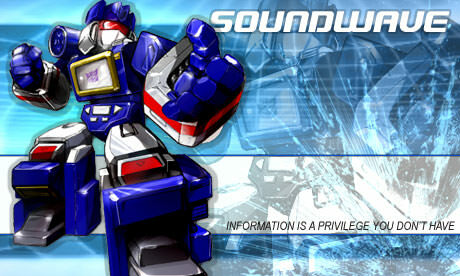 Ultra Magnus and Shockwave wrote: Inaction in this situation carries 0.0% chance of survival. 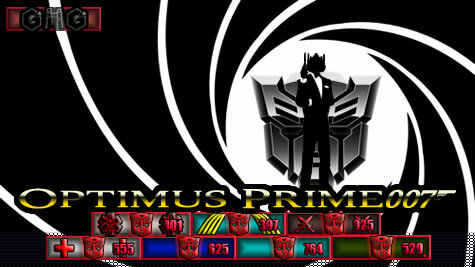 It is the logical choice to unify our forces with Ultra Magnus. The new weapon advantages will mean nothing if we do not go on the offensive, so you will be required to breach the Dark Space dimension. Ultra Magnus will extrapolate further. Our scientists have examined the rift by the Throne of Vir and it appears that entering it is much easier than we had expected. The information we received from the escaped primatives indicates the Reavers have another shard, and more importantly that shard that can help rebuild the Throne, reseal the rift and finally stop this menace. 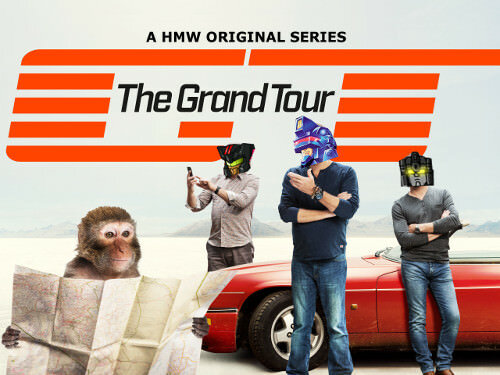 I have gone over with Shockwave and we have worked out the best teams to do just this. Your strike teams will consist of five individuals, each with an essential part in this assault. Your mission is to locate and recover the primatives, download and transmit the schematics to this infamous Bite they have as we will need it to cure our own primatives, and of supreme importance transport back the shard. I don’t think I need to tell you what this bite has done to us, this infection is running wild. Sparkstalker and Grotesque have been fitted with upgraded dragon altmodes, and now Shockwave has cleared them as free of infection they will lead this as a joint mission. We just have to hope that this works! Crisis command, over and out! OK, have you got all of that? The Strike Teams must consist of 5 members from your team, to be chosen in advance and prepared for battle. A Splicer. This can be any warrior or scientist that has Repair as a tactic. The splicer will be responsible for keeping your teams alive in battle, and taking data and infection details from any Brood they face. Your Splicers will recover the schematics for Bite, which will allow us to cleanse and upgrade many of the remaining animal alt classes here, ensuring an attack like this can never be repeated. Repair 50 times. A Scout. A lightning-quick soldier who can get in, pinpoint your target and Avoid damage long enough to get out again, so you can direct your heavies effectively. Your Scouts will locate and extract the primitives trapped within the Dead Space dimension. Avoid 50 times in missions where you survive at the end. An Assault Trooper. Your heaviest and strongest Ramming soldier is needed here. They will need to be able to punch a hole in the Reavers defences allowing you to get inside and do some damage. Your Assault troopers will find the remaining pieces of the Throne of Vir by destroying the Reavers citadel until they uncover it. Make 50 kills with Ram. An Artillery Unit. Heavy weaponry and the ability to Strafe here is essential, these will be needed to give covering fire to the Splicer and allow them to complete their task safely. Your Artillery will keep the Brood hoard at bay, and cover your teams actions. Make 50 kills with Strafe. A Vanguard. These troops will cover your retreat. They need to be animalistic, relentless and devastating, and must have a Bite-capable altmode as they will be undercover as Brood until it is time to pull out. Your Vanguard will break cover to get you out alive and stop you being followed home. Make 50 kills with Bite. You have 1 week to format your forces, finalise your tactics and find a setup you are happy with, as it cannot be changed once you enter the breach. Lastly, due to the nature of this task, any selected strike team members who need to reset from existing rare or legacy altmodes can take a snapshot of their old form before they reformat and it will be returned to them when, or if, they return. You have seven days, use them wisely. Pick 5 characters, they can be dual tactic. Artillery, Assault and Vanguard must land 50 kills with their tactic. Altmodes lost by resetting will be returned afterwards as long as it is possible to do so, please check first! Once the round begins you are not allowed to reset your strike team characters (the rest you can do what you like with) so plan your teams out between yourselves carefully! 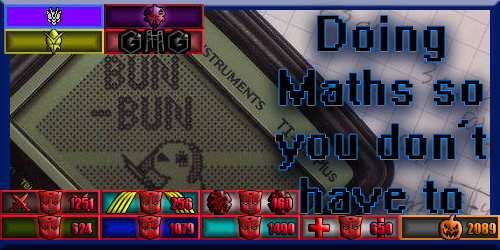 Game starts 27th Feb. Sign up below with your chosen 5 and get formatting! Re: HMW: Campaign for Cybertron - Extinction - Round 4: PROLOGUE!! Motto: "Your end shall justify my means." 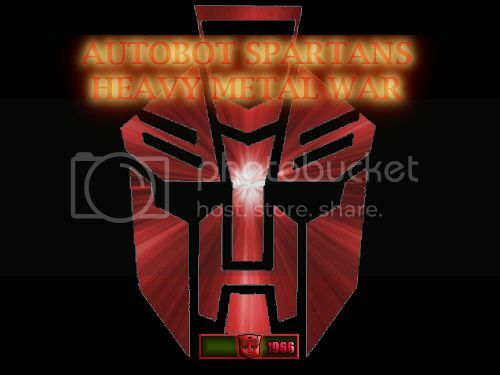 I'm in if I can get the rusty shovel alt mode for my bite character. This sounds like fun. Looks like I will only have to reformat 3 of my top 5.
bite @ 00:31 killed D-M.A.X. Last edited by Optimus_Prime007 on Fri Mar 22, 2019 7:06 am, edited 107 times in total. Evolution Prime wrote: I'm in if I can get the rusty shovel alt mode for my bite character. The Shovel is a test alt, not one that everyone can access as it's tactics are all messed up. Bite/Ram has been left off the available list deliberately at this time. Edit: same goes for Repair/Bite. I'll just do the Allicon when it becomes available. Evolution Prime wrote: Fine, party pooper. It's there under the 'Sharkticon' class. Enjoy. Last edited by High Command on Thu Apr 04, 2019 11:34 am, edited 145 times in total. High Command wrote: Will post my team here later. Last edited by steve2275 on Thu Mar 28, 2019 7:44 pm, edited 205 times in total. Now this sounds like fun. Will finalize my team later as well. Last edited by Raphael Prime on Sat Apr 20, 2019 2:05 am, edited 84 times in total. "And i can't be happier having a seasoned law enforcement official working the case for me. Just attack it. Like you're hungry. Like the wolf"
Last edited by -Soundwave- on Sat Apr 20, 2019 9:15 pm, edited 104 times in total. From beyond the beyond we return! 2 kills @ 00:44, 1:45 Kill the wabbit! 1 kill @ 2:45 And a 1v2 win too! 1 kill @ 00:55 And ate the whole meal in 3 bites! Last edited by Dragonslayer on Fri Mar 22, 2019 8:37 pm, edited 122 times in total. Click images to linked characters. Last edited by Phasewing on Mon Apr 15, 2019 6:16 pm, edited 69 times in total. 1. Is it one claim per mission? Or can a mission have multiple claims? 2. I know resetting isn't allowed, but what about upgrades? For instance, Character X is 5k xp away from upgrading their FP from 6 to 7 and they get that 5k xp during the round, can it be upgraded? 1. The second one, otherwise the Scout will take for ever. 2. Upgrading is fine, just don't mess it up as you won't be able to reset to fix it. Be warned: if your upgrade levels you up, you will then need to complete the task at the new higher level targets. Last edited by Lord Gothika on Wed Mar 13, 2019 6:01 pm, edited 10 times in total. Is there any other combos off the table? I am guessing single tactic alts still qualify or what ones we have left. Everything currently available is useable. Last edited by Bun-Bun on Tue Mar 12, 2019 6:39 am, edited 56 times in total. Last edited by Evolution Prime on Sat Mar 02, 2019 9:19 am, edited 2 times in total. Last edited by Symbiote Spiderman14 on Thu Apr 18, 2019 7:07 am, edited 111 times in total. I choose NOT to partake in this event. I can already tell from my current missions that none of my current team members will hit the limit for their L3/L4 levels. I am also waiting for the rest of the single tactic alt modes to be "updated" to duo tactics as well as a proper rotation for the Bot alt modes. sumowrestler wrote: I choose NOT to partake in this event. I can already tell from my current missions that none of my current team members will hit the limit for their L3/L4 levels. I might be wrong, but is that not what this is all about? Rolling Bite out so they can change to dual tactics. So boycotting the event that gets the thing you want to happen seems slightly counterproductive. 01:03	Spark Slayer transforms and rams Sidestreak. Sidestreak has gone into stasis lock! 01:16	Spark Slayer transforms rams Lt. Frank Drebin. Lt. Frank Drebin has gone into stasis lock! 03:43	Spark Slayer transforms and rams Grrrrrrr. Grrrrrrr has gone into stasis lock! 00:55	Spark Slayer transforms and rams Piepmatz. Piepmatz has gone into stasis lock! 02:40	Spark Slayer transforms and rams Fiery Flying Serpent. Fiery Flying Serpent has gone into stasis lock! 01:35	Spark Slayer transforms and rams Razor-Track. Razor-Track has gone into stasis lock! 02:27	Spark Slayer transforms and rams ChaosTheory. ChaosTheory has gone into stasis lock! 01:08	Spark Slayer transforms and rams Kolos. Kolos has gone into stasis lock! 03:26	Spark Slayer transforms and rams MAGIKARP used SPLASH !. MAGIKARP used SPLASH ! has gone into stasis lock! 02:59	Spark Slayer transforms and rams ChaosTheory. ChaosTheory has gone into stasis lock! 01:02	Spark Slayer transforms and rams Beinghal. Beinghal has gone into stasis lock! 01:44	Spark Slayer transforms and rams Lt. Frank Drebin. Lt. Frank Drebin has gone into stasis lock! 01:13	Spark Slayer transforms and rams Grrrrrrr. Grrrrrrr has gone into stasis lock! 03:35	Spark Slayer transforms and rams paul porsche359 2275.	paul porsche359 2275 has gone into stasis lock! 04:13	Spark Slayer transforms and rams Tracer. Tracer has gone into stasis lock! 01:22	Spark Slayer transforms and rams Meds. Meds has gone into stasis lock! 01:32	Spark Slayer transforms and rams Hyper-Redneck. Hyper-Redneck has gone into stasis lock! 02:59	Spark Slayer transforms and rams Searcher. Searcher has gone into stasis lock! 02:58	Spark Slayer transforms and rams Hyper-Tank. Hyper-Tank has gone into stasis lock! 00:32	Spark Slayer transforms and rams G-ride. G-ride has gone into stasis lock! 04:56	Spark Slayer transforms and rams TurboBass. TurboBass has gone into stasis lock! 02:22	Spark Slayer transforms and rams Major Meltdown. Major Meltdown has gone into stasis lock! 01:33	Spark Slayer transforms and rams Steelwraith. Steelwraith has gone into stasis lock! 01:55	Spark Slayer transforms and rams Abyssal. Abyssal has gone into stasis lock! 03:40	Spark Slayer transforms and rams Lt. Frank Drebin. Lt. Frank Drebin has gone into stasis lock! 00:43	Spark Slayer transforms and rams StrikeHawke. StrikeHawke has gone into stasis lock! 02:41	Spark Slayer transforms and rams Kolos. Kolos has gone into stasis lock! 02:23	Spark Slayer transforms and rams StrikeHawke. StrikeHawke has gone into stasis lock! 03:02	Spark Slayer transforms and rams Abyssal. Abyssal has gone into stasis lock! 03:12	Spark Slayer transforms and rams Ryche. Ryche has gone into stasis lock! 02:21	Spark Slayer transforms and rams Wedge. Wedge has gone into stasis lock! 01:02	Spark Slayer transforms and rams Killerpunch. Killerpunch has gone into stasis lock! 01:49	Spark Slayer transforms and rams paul porsche359 2275. paul porsche359 2275 has gone into stasis lock! 03:39	Spark Slayer transforms and rams Kludge. Kludge has gone into stasis lock! 02:25	Spark Slayer transforms and rams Abyssal. Abyssal has gone into stasis lock! 01:54	Spark Slayer transforms and rams Rollbar. Rollbar has gone into stasis lock! 02:58	Spark Slayer transforms and rams Cheetron. Cheetron has gone into stasis lock! 01:06	Spark Slayer transforms and rams Jetfire. Jetfire has gone into stasis lock! 04:26	Spark Slayer transforms and rams Duneblast. Duneblast has gone into stasis lock! 01:40	Spark Slayer transforms and rams StrikeHawke. StrikeHawke has gone into stasis lock! 02:03	Spark Slayer transforms and rams Grrrrrrr. Grrrrrrr has gone into stasis lock! 02:30	Spark Slayer transforms and rams Floccinaucinihilipilification. Floccinaucinihilipilification has gone into stasis lock! 02:33	Spark Slayer transforms and rams Hyper-Jaws. Hyper-Jaws has gone into stasis lock! 02:54	Spark Slayer transforms and rams Kolos. Kolos has gone into stasis lock! 02:37	Spark Slayer transforms and rams paul porsche359 2275.	paul porsche359 2275 has gone into stasis lock! 02:01	Demolition transforms and strafes Disillusioned. Disillusioned has gone into stasis lock! 01:44	Demolition transforms and strafes Behemoth. Behemoth has gone into stasis lock! 02:34	Demolition transforms and strafes Optimum. Optimum has gone into stasis lock! 04:04	Demolition transforms and strafes DNAVI. DNAVI has gone into stasis lock! 01:33	Demolition transforms and strafes Lilith. Lilith has gone into stasis lock! 01:21	Demolition transforms and strafes Kaijubot. Kaijubot has gone into stasis lock! 02:40	Demolition transforms and strafes Rev. Rev has gone into stasis lock! 03:09	Demolition transforms and strafes Drone 9. Drone 9 has gone into stasis lock! 00:56	Demolition transforms and strafes Sandstorm. Sandstorm has gone into stasis lock! 01:29	Demolition transforms and strafes Bvb. Bvb has gone into stasis lock! 00:29	Demolition transforms and strafes The Ozzman. The Ozzman has gone into stasis lock! 03:31	Demolition transforms and strafes electric ed ericson. electric ed ericson has gone into stasis lock! 03:31	Demolition transforms and strafes Wot. Wot has gone into stasis lock! 01:23	Demolition transforms and strafes Stormcloud. Stormcloud has gone into stasis lock! 03:09	Demolition transforms and strafes Disillusioned. Disillusioned has gone into stasis lock! 01:10	Demolition transforms and strafes Lilith. Lilith has gone into stasis lock! 02:36	Demolition transforms and strafes Disillusioned. Disillusioned has gone into stasis lock! 05:30	Demolition transforms and strafes White Horse. White Horse has gone into stasis lock! 02:37	Demolition transforms and strafes Sidestreak. Sidestreak has gone into stasis lock! 01:38	Demolition transforms and strafes Remidus Prime. Remidus Prime has gone into stasis lock! 04:56	Demolition transforms and strafes Darksteel. Darksteel has gone into stasis lock! 06:20	Demolition transforms into a Weapon and strafes DNAVI. DNAVI has gone into stasis lock! 04:54	Demolition transforms and strafes Victor Tomcat. Victor Tomcat has gone into stasis lock! 00:28	Demolition transforms and strafes Flashbolt. Flashbolt has gone into stasis lock! 01:25	Demolition transforms and strafes Rioghan. Rioghan has gone into stasis lock! 00:30	Demolition transforms and strafes OmegaFortress. OmegaFortress has gone into stasis lock! 00:50	Demolition transforms and strafes Powerhouse. Powerhouse has gone into stasis lock! 00:50	Demolition transforms and strafes Soulfly. Soulfly has gone into stasis lock! 02:28	Demolition transforms and strafes First Aid. First Aid has gone into stasis lock! 01:01	Demolition transforms and strafes Steelwraith. Steelwraith has gone into stasis lock! 00:19	Demolition transforms and strafes Humpy. Humpy has gone into stasis lock! 02:40	Demolition transforms and strafes Hyper-Medic. Hyper-Medic has gone into stasis lock! 05:05	Demolition transforms and strafes ChaosTheory. ChaosTheory has gone into stasis lock! 02:13	Demolition transforms and strafes BLAZEBARON PRIME. BLAZEBARON PRIME has gone into stasis lock! 01:53	Demolition transforms and strafes Chromeclash. Chromeclash has gone into stasis lock! 03:54	Demolition transforms and strafes Broadside. Broadside has gone into stasis lock! 06:38	Demolition transforms and strafes Beatmix. Beatmix has gone into stasis lock! 01:00	Demolition transforms and strafes Shock. Shock has gone into stasis lock! 02:34	Demolition transforms and strafes Steelwraith. Steelwraith has gone into stasis lock! 03:22	Demolition transforms and strafes Lilith. Lilith has gone into stasis lock! 02:18	Demolition transforms and strafes Killerpunch. Killerpunch has gone into stasis lock! 02:21	Demolition transforms and strafes Grand Cannon. Grand Cannon has gone into stasis lock! 02:15	Demolition transforms and strafes Deadbot Walking. Deadbot Walking has gone into stasis lock! 02:15	Demolition transforms and strafes Arcweld. Arcweld has gone into stasis lock! 00:24	Demolition transforms and strafes Hyper-Pegasus. Hyper-Pegasus has gone into stasis lock! 03:43	Demolition transforms and strafes Flareblitz. Flareblitz has gone into stasis lock! 02:29	Demolition transforms and strafes Cinderbeak. Cinderbeak has gone into stasis lock! 01:05	Demolition transforms and strafes Fortress-Maximus. Fortress-Maximus has gone into stasis lock! 02:34	Demolition transforms and strafes paul porsche359 2275.	paul porsche359 2275 has gone into stasis lock! 00:23	Demolition transforms and strafes Shammy. Shammy has gone into stasis lock! 00:59	Algorithm attacks Starduster. Starduster transforms avoids the attack! 01:41	Bruce attacks Starduster. Starduster transforms and avoids the attack! 02:52	Soulfly attacks Starduster. Starduster transforms and avoids the attack! 04:02	Algorithm attacks Starduster. Starduster transforms and avoids the attack! 01:14	Sideswipe attacks Starduster. Starduster transforms and avoids the attack! 01:34	Twisted Sister attacks Starduster. Starduster transforms and avoids the attack! 04:11	Rogue-1 attacks Starduster. Starduster transforms into a Fighter and avoids the attack! 01:07	Topspin- attacks Starduster. Starduster transforms into a Fighter and avoids the attack! 02:25	Topspin- attacks Starduster. Starduster transforms into a Fighter and avoids the attack! 00:22	Amaranth attacks Starduster. Starduster transforms into a Fighter and avoids the attack! 00:30	Bvb attacks Starduster. Starduster transforms into a Fighter and avoids the attack! 01:25	Sidestreak attacks Starduster. Starduster transforms into a Fighter and avoids the attack! 01:59	Sidestreak attacks Starduster. Starduster transforms into a Fighter and avoids the attack! 02:06	Hyper-Falcon attacks Starduster. Starduster transforms into a Fighter and avoids the attack! 02:31	Sidestreak attacks Starduster. Starduster transforms into a Fighter and avoids the attack! 02:37	Hyper-Falcon attacks Starduster. Starduster transforms into a Fighter and avoids the attack! 02:56	Sidestreak attacks Starduster. Starduster transforms into a Fighter and avoids the attack! 04:03	Sidestreak attacks Starduster. Starduster transforms into a Fighter and avoids the attack! 04:13	Sidestreak attacks Starduster. Starduster transforms into a Fighter and avoids the attack! 05:10	Sidestreak attacks Starduster. Starduster transforms into a Fighter and avoids the attack! 05:52	Sidestreak attacks Starduster. Starduster transforms into a Fighter and avoids the attack! 00:09	Hyper-Scream attacks Starduster. Starduster transforms into a Fighter and avoids the attack! 02:18	Hyper-Scream attacks Starduster. Starduster transforms into a Fighter and avoids the attack! 04:06	Rogue-1 attacks Starduster. Starduster transforms into a Fighter and avoids the attack! 05:37	Hyper-Scream attacks Starduster. Starduster transforms into a Fighter and avoids the attack! 01:10	Sidestreak attacks Starduster. Starduster transforms into a Fighter and avoids the attack! 01:44	Sidestreak attacks Starduster. Starduster transforms into a Fighter and avoids the attack! 00:16	Fanga Fett attacks Starduster. Starduster transforms into a Fighter and avoids the attack! 00:45	Fanga Fett attacks Starduster. Starduster transforms into a Fighter and avoids the attack! 01:11	Fanga Fett attacks Starduster. Starduster transforms into a Fighter and avoids the attack! 01:42	Fanga Fett attacks Starduster. Starduster transforms into a Fighter and avoids the attack! 00:59	Chicane attacks Starduster. Starduster transforms into a Fighter and avoids the attack! 03:24	Soulfly attacks Starduster. Starduster transforms into a Fighter and avoids the attack! 00:17	Twisted Sister attacks Starduster. Starduster transforms into a Fighter and avoids the attack! 00:44	Twisted Sister attacks Starduster. Starduster transforms into a Fighter and avoids the attack! 00:17	Devildriver attacks Starduster. Starduster transforms into a Fighter and avoids the attack! 00:51	Devildriver attacks Starduster. Starduster transforms into a Fighter and avoids the attack! 00:17	Hightower attacks Starduster. Starduster transforms into a Fighter and avoids the attack! 00:57	Fanga Fett attacks Starduster. Starduster transforms into a Fighter and avoids the attack! 01:02	Fanga Fett attacks Starduster. Starduster transforms into a Fighter and avoids the attack! 02:17	Abyssal attacks Starduster. Starduster transforms into a Fighter and avoids the attack! 02:24	Abyssal attacks Starduster. Starduster transforms into a Fighter and avoids the attack! 02:48	Fanga Fett attacks Starduster. Starduster transforms into a Fighter and avoids the attack! 03:59	Abyssal attacks Starduster. Starduster transforms into a Fighter and avoids the attack! 05:31	Abyssal attacks Starduster. Starduster transforms into a Fighter and avoids the attack! 06:54	Abyssal attacks Starduster. Starduster transforms into a Fighter and avoids the attack! 00:26	JUST KILL ME attacks Starduster. Starduster transforms into a Fighter and avoids the attack! 01:07	Jetfire attacks Starduster. Starduster transforms into a Fighter and avoids the attack! 01:40	JUST KILL ME attacks Starduster. Starduster transforms into a Fighter and avoids the attack! 02:30	JUST KILL ME attacks Starduster. Starduster transforms into a Fighter and avoids the attack! 03:14	JUST KILL ME attacks Starduster. Starduster transforms into a Fighter and avoids the attack! 03:57	JUST KILL ME attacks Starduster. Starduster transforms into a Fighter and avoids the attack! 04:54	JUST KILL ME attacks Starduster. Starduster transforms into a Fighter and avoids the attack! 05:14	JUST KILL ME attacks Starduster. Starduster transforms into a Fighter and avoids the attack! 05:26	JUST KILL ME attacks Starduster. Starduster transforms into a Fighter and avoids the attack! 05:44	JUST KILL ME attacks Starduster. Starduster transforms into a Fighter and avoids the attack! 01:32	Killjoy transforms into a Battle Station and repairs High Command. 02:30	Killjoy transforms into a Battle Station and repairs Kill-Vulcan. 03:40	Killjoy transforms into a Battle Station and repairs Zero. 04:03	Killjoy transforms into a Battle Station and repairs Kill-Vulcan. 00:52	Killjoy transforms into a Battle Station and repairs Invidia Prima. 01:58	Killjoy transforms into a Battle Station and repairs Aerospace Seeker. 02:45	Killjoy transforms into a Battle Station and repairs Tammuz. 01:36	Killjoy transforms into a Battle Station and repairs Transistors. 01:08	Killjoy transforms into a Battle Station and repairs Deep Terror. 03:35	Killjoy transforms into a Battle Station and repairs Carnifex. 04:21	Killjoy transforms into a Battle Station and repairs Steggs. 04:41	Killjoy transforms into a Battle Station and repairs High Command. 00:20	Killjoy transforms into a Battle Station and repairs Road Hornet. 00:52	Killjoy transforms into a Battle Station and repairs Road Hornet. 01:20	Killjoy transforms into a Battle Station and repairs Neutron. 01:38	Killjoy transforms into a Battle Station and repairs Road Hornet. 02:11	Killjoy transforms into a Battle Station and repairs Neutron. 05:18	Killjoy transforms into a Battle Station and repairs Road Hornet. 01:41	Killjoy transforms into a Battle Station and repairs Elita One. 02:44	Killjoy transforms into a Battle Station and repairs Elita One. 03:29	Killjoy transforms into a Battle Station and repairs Lethal Injection. 00:14	Killjoy transforms into a Battle Station and repairs Stickshift. 01:55	Killjoy transforms into a Battle Station and repairs Tammuz. 05:04	Killjoy transforms into a Battle Station and repairs Tammuz. 02:02	Killjoy transforms into a Battle Station and repairs Dark Rodimus. 03:58	Killjoy transforms into a Battle Station and repairs Dark Rodimus. 00:55	Killjoy transforms into a Battle Station and repairs Tarantulas. 02:33	Killjoy transforms into a Battle Station and repairs Silverbolt. 01:36	Killjoy transforms into a Battle Station and repairs Malevolence. 06:27	Killjoy transforms into a Battle Station and repairs Flash-Turbine. 05:24	Killjoy transforms into a Battle Station and repairs Munchkin. 07:18	Killjoy transforms into a Battle Station and repairs Zero. 07:40	Killjoy transforms into a Battle Station and repairs Munchkin. 10:28	Killjoy transforms into a Battle Station and repairs Zero. 11:51	Killjoy transforms into a Battle Station and repairs Zero. 00:48	Killjoy transforms into a Battle Station and repairs Trygon. 02:25	Killjoy transforms into a Battle Station and repairs Godzillicon. 03:48	Killjoy transforms into a Battle Station and repairs Count NightFlyer. 03:53	Killjoy transforms into a Battle Station and repairs Count NightFlyer. 00:34	Killjoy transforms into a Battle Station and repairs Mal Practice. 08:43	Killjoy transforms into a Battle Station and repairs Tigerclaw. 10:33	Killjoy transforms into a Battle Station and repairs Gucci. 00:38	Killjoy transforms into a Battle Station and repairs HellFire. 02:08	Killjoy transforms into a Battle Station and repairs HellFire. 00:15	Killjoy transforms into a Battle Station and repairs Goat. 00:40	Killjoy transforms into a Battle Station and repairs Xenos Prime. 01:08	Killjoy transforms into a Battle Station and repairs Xenos Prime. 02:55	Killjoy transforms into a Battle Station and repairs Xenos Prime. 00:38	Killjoy transforms into a Battle Station and repairs Crushed. 02:25	Killjoy transforms into a Battle Station and repairs Harpy. 00:26	Killjoy transforms into a Battle Station and repairs Godzillicon. 00:46	Killjoy transforms into a Battle Station and repairs Infestor. 01:11	Killjoy transforms into a Battle Station and repairs Infestor. 00:35	Killjoy transforms into a Battle Station and repairs Strike-Eagle. 01:32	Killjoy transforms into a Battle Station and repairs MooseMuncher. 01:58	Killjoy transforms into a Battle Station and repairs MooseMuncher. 03:17	Karnage transforms and Bites AxeShredder. AxeShredder has gone into stasis lock! 00:53	Karnage transforms and Bites Major Meltdown. Major Meltdown has gone into stasis lock! 04:06	Karnage transforms and Bites Pity da Foo. Pity da Foo has gone into stasis lock! 06:09	Karnage transforms and Bites paul porsche359 2275.	paul porsche359 2275 has gone into stasis lock! 00:27	Karnage transforms and Bites Flame. Flame has gone into stasis lock! 02:06	Karnage transforms and Bites Sidestreak. Sidestreak has gone into stasis lock! 03:09	Karnage transforms and Bites Stormlord. Stormlord has gone into stasis lock! 02:59	Karnage transforms and Bites Sidestreak. Sidestreak has gone into stasis lock! 02:59	Karnage transforms and Bites Killerpunch. Killerpunch has gone into stasis lock! 04:45	Karnage transforms and Bites Behemoth. Behemoth has gone into stasis lock! 01:25	Karnage transforms and Bites Rev. Rev has gone into stasis lock! 03:49	Karnage transforms and Bites Mutt Buncher. Mutt Buncher has gone into stasis lock! 04:12	Karnage transforms and Bites paul porsche359 2275.	paul porsche359 2275 has gone into stasis lock! 04:39	Karnage transforms and Bites Hyper-Pegasus. Hyper-Pegasus has gone into stasis lock! 03:53	Karnage transforms and Bites Alpha Sentinel. Alpha Sentinel has gone into stasis lock! 02:42	Karnage transforms and Bites Sidestreak. Sidestreak has gone into stasis lock! 01:38	Karnage transforms and Bites Kool-Aid Man. Kool-Aid Man has gone into stasis lock! 05:49	Karnage transforms and Bites Alpha Sentinel. Alpha Sentinel has gone into stasis lock! 04:19	Karnage transforms and Bites Supercruise. Supercruise has gone into stasis lock! 02:12	Karnage transforms and Bites Sonic Blade. Sonic Blade has gone into stasis lock! 02:54	Karnage transforms and Bites Rebuilt. Rebuilt has gone into stasis lock! 01:43	Karnage transforms and Bites Hyper-Fire. Hyper-Fire has gone into stasis lock! 03:06	Karnage transforms and Bites Rev. Rev has gone into stasis lock! 00:50	Karnage transforms and Bites Piepmatz. Piepmatz has gone into stasis lock! 01:36	Karnage transforms and Bites Hellbent. Hellbent has gone into stasis lock! 01:57	Karnage transforms and Bites Hyper-Medic. Hyper-Medic has gone into stasis lock! 03:20	Karnage transforms and Bites Hightower. Hightower has gone into stasis lock! 02:50	Karnage transforms and Bites Kool-Aid Man. Kool-Aid Man has gone into stasis lock! 04:56	Karnage transforms and Bites Pity da Foo. Pity da Foo has gone into stasis lock! 03:14	Karnage transforms and Bites Graverobber. Graverobber has gone into stasis lock! 01:00	Karnage transforms and Bites Zudo. Zudo has gone into stasis lock! 00:56	Karnage transforms and Bites PETA's Steve Irwin Tweet. PETA's Steve Irwin Tweet has gone into stasis lock! 01:48	Karnage transforms and Bites Hyper-Leo. Hyper-Leo has gone into stasis lock! 01:03	Karnage transforms and Bites Piepmatz. Piepmatz has gone into stasis lock! 02:02	Karnage transforms and Bites Scrappile. Scrappile has gone into stasis lock! 01:34	Karnage transforms and Bites Grand Cannon. Grand Cannon has gone into stasis lock! 01:38	Karnage transforms and Bites Beinghal. Beinghal has gone into stasis lock! 02:59	Karnage transforms and Bites Kool-Aid Man. Kool-Aid Man has gone into stasis lock! 00:31	Karnage transforms and Bites Zudo. Zudo has gone into stasis lock! 01:15	Karnage transforms and Bites Rebuilt. Rebuilt has gone into stasis lock! 04:53	Karnage transforms and Bites Mutt Buncher. Mutt Buncher has gone into stasis lock! 02:03	Karnage transforms and Bites Amaranth. Amaranth has gone into stasis lock! 02:28	Karnage transforms and Bites Alpha Sentinel. Alpha Sentinel has gone into stasis lock! 01:01	Karnage transforms and Bites Mutt Buncher. Mutt Buncher has gone into stasis lock! 02:55	Karnage transforms and Bites Blazer Var. Blazer Var has gone into stasis lock! 00:46	Karnage transforms and Bites Blazer Var. Blazer Var has gone into stasis lock! 03:35	Karnage transforms and Bites ChaosTheory. ChaosTheory has gone into stasis lock! 03:13	Karnage transforms and Bites paul porsche359 2275.	paul porsche359 2275 has gone into stasis lock! 03:12	Karnage transforms and Bites Blastback. Blastback has gone into stasis lock! Last edited by Killjoy on Thu Mar 28, 2019 8:22 pm, edited 152 times in total. 4,503 pages were recently viewed by 1,035 unique visitors. This page was viewed 1 times on Sunday, April 21st 2019 3:43pm CDT. © 2019 Seibertron, Inc. DBA Seibertron.com. All Rights Reserved. Established June 2000. Seibertron.com is owned by Ryan Yzquierdo.